Congratulations to the Carrollton Trojan Football team on their impressive victory over Clarke Central in the first playoff round! It was an exciting game! Also, thank you all for your attendance at the band’s Veterans Day concert. It was a lovely night of music and recognition of our veterans! We are looking forward to distributing all of the fruit and meat that was sold for our annual All-In-One fundraiser! Please note that we will need lots of volunteers this week to help! In the schedule for the week you will see where you can sign up to volunteer. Time slots are one hour. This does not mean we only want you to sign up for one hour, it is done this way so that you are able to help even if you only have one hour. We would love for you to sign up for as much as possible! If you are not going to the away game Friday night, PLEASE sign up to help with the ALL-IN-ONE! It will be critical that we have parents willing to help out that night, as we will be split between two band events; supporting our football team against Arabia Mountain and completing our All-In-One Fundraiser! More info to be posted very soon. Is your child currently completing Health requirements through band? If so, please double check their progress. 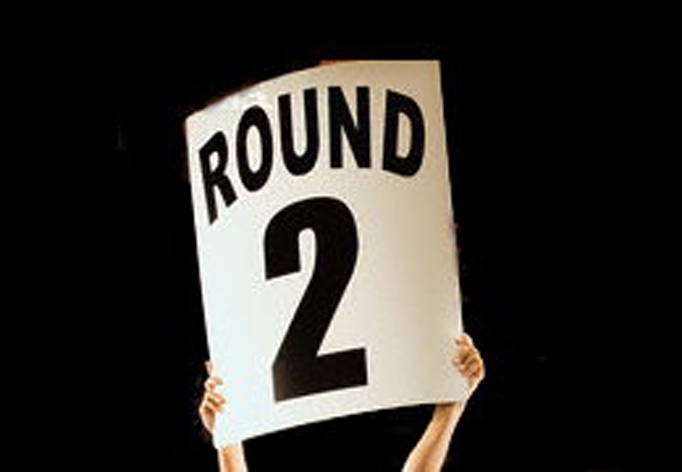 We would like for as many students to be finished with the course content by the end of Thanksgiving Break. Students have until the last week of the 1st semester to finish, but by finishing before December they will have more time to focus on their end of course exams. VERY IMPORTANT however is the eADAP course that must be completed through the GaDOE. Once completed, please print the certificate and submit to Mr. Carr. The holiday season is quickly approaching! Two great gift giving options from the Trojan Band Boosters! Can you believe it?!? It’s that time of year already! Time is flying by, and before you know it, the Christmas break will be upon us! Are you looking for something to purchase for teachers, colleagues, neighbors or your favorite band student this year? 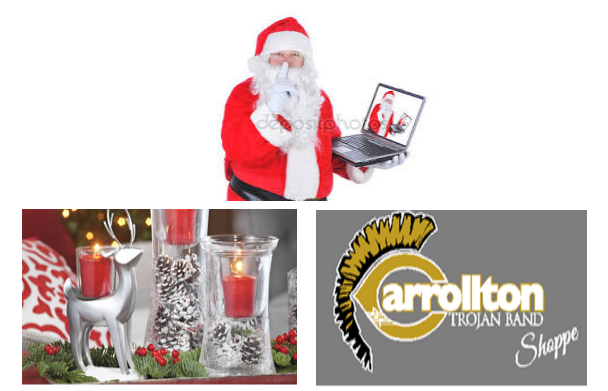 The CHS Band Boosters have two great ways to purchase some unique gifts and support the Carrollton Trojan Band program at the same time! Our Yankee Candle® fundraiser continues online till December 31 of this year! Yankee Candles® make the perfect gift! Everyone loves a Yankee Candle®, with lots of holiday scents, beautiful home accents and candle accessories to choose from! Enter group code: 999968266 (Carrollton Trojan Band Program) when you enter the site, purchase your items, and they will be shipped directly to you within days of your order! Remember, 40% of all online sales through December 31, 2017 will benefit the Carrollton Trojan Band program! Visit the Trojan Band Shoppe for some great gift ideas this month!! The Trojan Band Shoppe is “taking it on the road” to all of the Carrollton Trojan Band concerts this holiday season!! That’s not just for high school concerts, but CJHS concerts as well! Maybe you visited with us this past week at our awesome annual Veteran’s Day concert!! A huge THANK YOU to all who placed orders or purchased apparel! In case you missed us, we will be in the lobby of the Mabry Performing Arts center prior to, during, and after all concerts before the Christmas break! We will be offering a new crewneck and hooded sweatshirt option available for embroidery and a new pre-order screen printed hooded and crewneck sweatshirt option coming this week as well! All items offered on the store website are on display in the CHS Don Hall Band Room, and will be displayed at all of the holiday concerts. Stop by and see us! We would love to see you! *Please note, all purchases for embroidered items take 7-10 days to fulfill. Shopping for Christmas gifts before the break? Visit the online booster store to order yours in time! When purchasing, if the item is a gift for a student, simply indicate it in the text box when ordering! Store booster elves will be sure not to give away the surprise, and we will arrange for discreet delivery! Purchasers will be contacted when orders are available to arrange for pick-up. As always, thank you! thank you!! THANK YOU!!! For continuing to support this AWESOME band program. This program touches the lives of so many, in so many positive ways. We are humbled and grateful for your continued support of all of our students and our continued fundraising efforts! Don’t forget, if you haven’t paid for your student’s formal attire, please do so! ***** Some of you did not need the full attire, so you will only pay for the items you ordered. As you know, our band has been invited to participate in the Chick-fil-A Bowl. The cost of our student tickets has been generously donated. This is an event that most bands travel to Atlanta to participate in as their “band trip” for the year and pay for their individual tickets. We are fortunate that we were invited to participate and our student tickets have been purchased for us. All parent tickets including for chaperone and equipment crew cost $175.00 each and includes admission to the game, Fanfest, security clearance to enter with the band, and a credential. We understand that this is an expensive game admission. If you would like to chaperone but not attend Fanfest or the game – admission to the parade is free and you would be welcome to either hang out on the bus or could visit the CNN center for lunch/etc? While the students attend the game. As always, if you have any general questions, please make sure to contact Mr. Carr at: christopher.carr@carrolltoncityschools.net, the Band Office at 770-834-0550, or the Band Boosters at: chstrojanbands@gmail.com. Posted in CHS Band and tagged #trojangold, #trojansallin, All-In-One Sale, Carrollton High School, Carrollton High School Band, Carrollton Trojan Band, Carrollton Trojan Band Boosters, CHS Band Program, CHS Trojan Band, CHS Winter Guard, Gold Standard, Trojan Band Boosters on November 12, 2017 by CHS Trojan Band.